Home / Podcast: Return To Camp Blood / Return To Camp Blood Podcast: Interview With Jason Voorhees Actor C.J. Graham! Return To Camp Blood Podcast: Interview With Jason Voorhees Actor C.J. Graham! Welcome to the Return To Camp Blood Podcast! In the latest episode from our contributor Podcast series, hosts Chris Saunders, Eric Walford, Nathan Barker, and Scar talk to C.J. Graham, the man behind the mask as Jason Voorhees in Jason Lives: Friday The 13th Part 6. 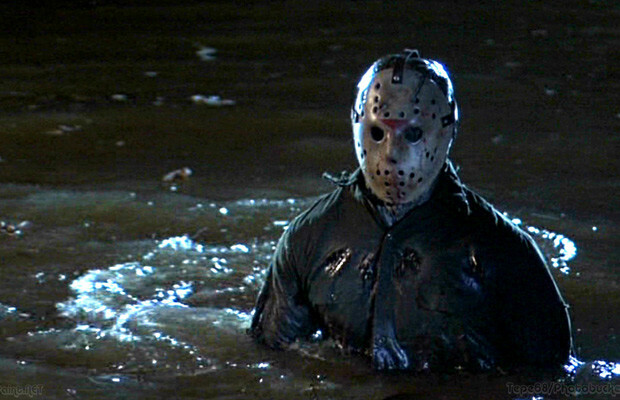 He was the last man to portray the Camp Crystal Lake marauder before the Hodder era, and C.J. Graham certainly made an impression. The advent of zombie Jason began with Graham in the sixth chapter of the Friday the 13th saga, Jason Lives, and he killed it. Graham’s masked madman hacked his way through a very fun flick in a very unforgiving way. He’s our guest, and we are very excited to welcome C.J. Graham to Return to Camp Blood.